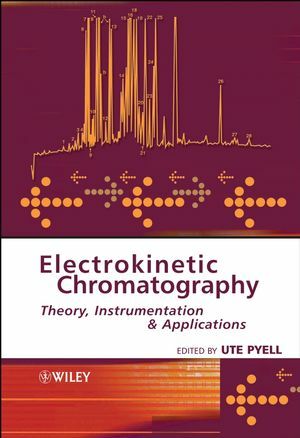 This book offers a thorough theoretical description of the method, an overview on the current status of the various forms of electrokinetic capillary chromatography, plus a look forward into future developments. Dr Ute Pyell received his PhD in Analytical Chemistry in 1991. He is an active member in the Analytical Division of the German Chemical Society (GDCh), the Separation Sciences Group of the Analytical Division of the GDCh and an active member in the Working Group Education and Training of the EURACHEM/D. 1. Theory of Electrokinetic Chromatography (Ute Pyell). 2. Determination of Critical Micelle Concentrations by Capillary Electrokinetic Techiques (Thomas Le Saux, Anne Varenne and Pierre Gareil). 3. Selectivity Characterization of Pseudostationary Phases Using the Solvation Parameter Model (Colin F. Poole). 4. General Aspects of Resolution Optimization with Micellar Pseudostationary Phases (Li Jia and Shigeru Terabe). 5. Optimization of the Separation Conditions in Electrokinetic Chromatography: Experimental Designs, Modelling and Validation (Olga Jiménez and Maria Luisa Marina). 6. Microemulsion Electrokinetic Chromatography (Alex Marsh, Kevin Altria and Brian Clark). 7. Polymeric Pseudostationary Phases and Dendrimers (Christopher P. Palmer). 8. Pseudostationary Ion-exchange Phases (Philip J. Zakaria and Paul R. Haddad). 9. Principles of Enantiomer Separations in Electrokinetic Chromatography (Bezhan Chankvetadze). 10. On-line Sample Enrichment in Electrokinetic Chromatography (Joselito P. Quirino). 11. General Aspects of Instrumentation (Jan Fischer and Pavel Jandera). 12. Laser-induced Fluorescence Detection: A Summary (Christophe Bayle, Véréna Poinsot, Clara Fournier-Noël and François Couderc). 13. Amperometric Detection (Frank-Michael Matysik). 14. Photothermal Detection (Werner Faubel, Stefan Heissler and Ute Pyell). 15. Coupling of Electrokinetic Chromatography to Mass Spectrometry (Roelof Mol, Gerhardus J. de Jong and Govert W. Somsen). 16. Electrokinetic Chromatography on Microfluidic Devices (Ómar Gústafsson and Jörg P. Kutter). 17. Electromigration Separation Techniques in Pharmaceutical Analysis (Jean-Luc Veuthey, Laurent Geiser and Serge Rudaz). 18. Analysis of Body Fluids by Electrokinetic Chromatographic Techniques (Ll. Puignou, R. Busquets and M.T. Galceran). 19. Application of Electrokinetic Chromatography to Food and Beverages (Mary Boyce). 20. Application of Enantioselective Electrokinetic Chromatography (Bezhan Chankvetadze). 21. Environmental Analysis Ana Carolina O. Costa, Gustavo (A. Micke, Elisabete A. Pereira, Clóvis L. Silva and Marina F.M. Tavares).